This is a general construction company combined with a helical peering company owned by the same couple. They believe that a new buyer can easily grow the company which they have not tried to do for many years as they spent more time with their family and grand kids. They were established in 1986 as a residential construction company and evolved into a commercial construction company adding SCHP in 1990. They do most of their work for the Local, State, and Federal Government especially the US Postal System(USPS). 1st Quarter 2019 was significantly better than 1st quarter 2018 which is because they have gotten all of the work they want from Ft Carson which is a new client that they have done 6 jobs for already. 2018’s earnings were 179K on revenues of 2.18M. The earnings were up over 2017 and 2016. The trailing 12 months through March 31 2019 had earnings of 278K. This business was price based on 179K in earnings and not 278K. Ft Carson looks to be a great long term recurring customer. You should meet with and discuss and confirm this with the Sellers. This business is selling for less than 1 ¾ times the trailing 12 months and will qualify for an SBA loan and the Seller will carry up to 15% for a qualified buyer. This means that a buyer can buy this with only 125K which is the 20% the bank will probably require plus estimated working capital. This is a tremendous opportunity with over 90% recurring revenue, mostly long term recession proof customer relationships, and loyal employees. They have a long-term relationship with the City of Colorado Springs, Denver, Denver Suburbs, the USPS, and with many of the private owners of Post Offices in Wyoming, Colorado, etc. They are as busy as the owners want to be after 31 years working in the industry and 4 grand kids. They are spending 30 to 35 hours a week working for the business and neither goes out in the field with some exception for him on larger bids. This company has a very high percentage of Recurring Revenues because it has a long-term reputation with the USPS, various Government Agencies, and Ft Carson. The Sales Price is currently 475K with the Seller willing to carry 15% of it. This has already had a bank look at it that said they will approve an SBA loan for a qualified buyer. This means that if the buyer carries 15% which is 71,250 this leaves 403,750 which a bank will provide with the buyer matching 20% of. 20% of 403,750 is $80,750 is what a buyer would most likely need to provide their bank for the bank to bring the other 80% to a closing. Working Capital is estimated to be less than 50K which means 125K in liquidity is all this will take to get it done. The sales price includes all assets except the real estate. The real estate was recently appraised at 825K and the Seller requires that a buyer buy both. The risk in buying construction companies is whether you will have new jobs post-closing and whether you can grow the business. They have 90% plus in recurring revenue and do zero advertising. The sellers state several times that they could be much larger if they were trying to grow it. They are retiring and have kept the company at a comfortable size for years. Plus, they have almost 200K in current value assets including 104K in vehicles/trailers. No construction experience is necessary. They will train you and let you use their licenses until you get your licenses which they can help you with. 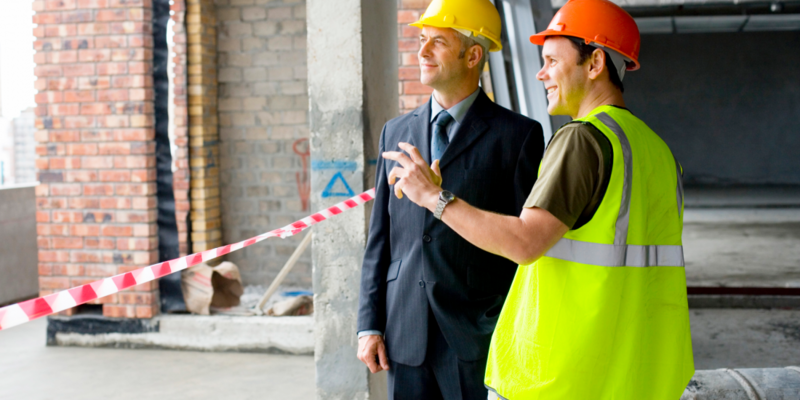 A buyer will get a business that has both work in progress and work waiting to be done. In other words, this business will not change the day of the closing. This companies’ revenues comes to them consistently from long term customers that pay 100% of the time and pay in a timely manner.